When old asphalt is torn up and hauled away by pavement companies that are engaging in new projects, there is an excellent chance that it will be recycled and reused. In fact, recyclable asphalt and “crushed reclaim” are valuable materials. 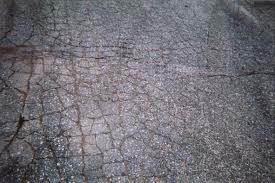 Many municipalities require a certain amount of old asphalt to be used in the construction of new roads and embankments. Reclaimed asphalt generally improves pavement mixtures so that the new construction material lasts longer. In fact, reclaimed material is a big part of green technology, which attempts to inject a degree of sustainability into the world. Asphalt can be recycled because it has a number of useful properties. Both its moisture content and its shear strength, for instance, ensure that it will hold up well in a variety of weather conditions, especially when it is being used secondarily. Its permeability is also similar to a variety of granular materials that are often used in highway construction projects. Recycled asphalt is likewise free draining and not susceptible to frost, which means it can be blended together with other materials to create a more appropriate aggregate. Instead of heading to the dump and sitting in repose for decades or even centuries, old asphalt is recyclable. The material can be easily stored or stockpiled until it is ready to be used. It does not need to be secondarily compacted and will remain in excellent shape at the warehouse. Asphalt Pavement Solutions is an eminently reliable company and is dedicated to installing, maintaining and repairing pavement in the regional area. Whether prospective clients are interested in crack repair, concrete repair, asphalt sealcoating, parking lot striping or the installation of traffic signs, Asphalt Pavement Solutions can help. For a price quote, fill out the online form or call us for more information at 1.800.559.SEAL. We serve the Philadelphia and Camden areas!